Me too Divya! They are my favourites along with Eva's bib! 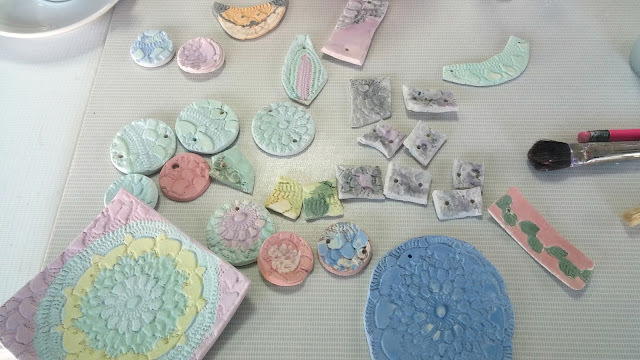 The ceramics workshop sounds like fun! I love everything you made. How beautiful! I never thought you could do these with doilies as molds. I'm sure the necklaces you're making with them will turn out very pretty. Thank you Alhana. 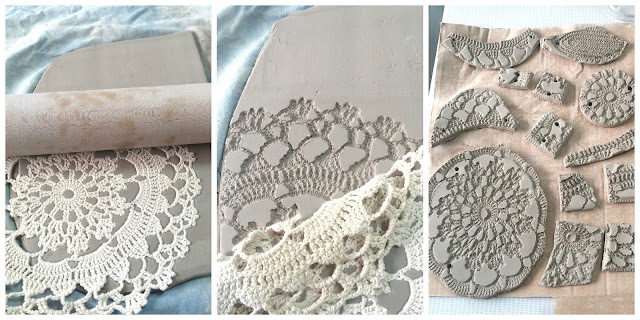 We used the doilies to stamp the clay. Wow...this is such a cool thing! I love how they turned out!